Losing your job is a terrible, terrible feeling. You’re now at home, with no income, wondering how you’re going to make it. Will you be able to pay your bills? Will you even be able to eat? My husband John has lost his job 5 separate times, twice since having our daughter Allison. Each time we’ve had to make sacrifices and get creative, and while we never went without, it was still tough. 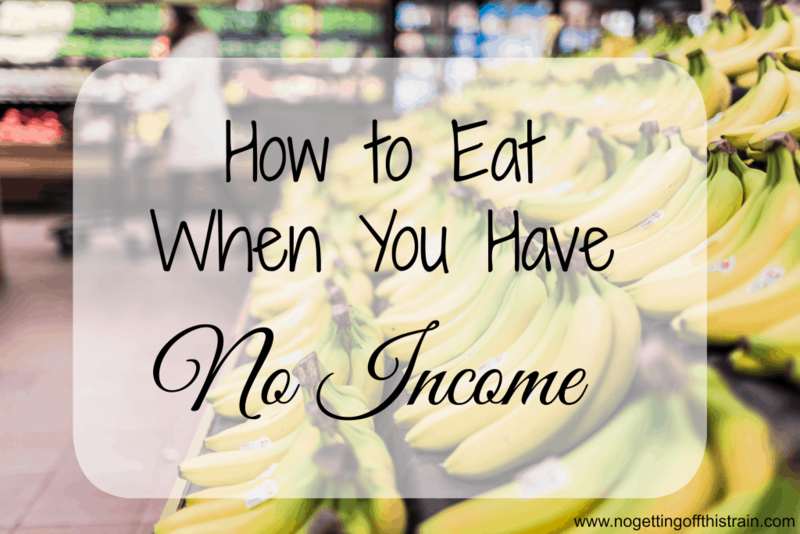 You can still eat even when you have no income coming in; here are some tips we’ve picked up each time that may help if you’re in our situation, as well as plenty of recipes to get you started. Disclaimer: I’m not a nutrition expert, and while some of the recipes below may not be perfectly healthy, understand that you are doing the best you can with the money you have! First decide how much you’re going to spend each week. If you don’t know what your budget will be, you’ll still end up spending way more than you want to. Take a look at your receipts and see how much you’ve spent in the past, and then decide what you think you can live with for a short time. For those that read my blog often, you know that I spend $75 a week on my family of 3. During these two most recent job losses, we ultimately decided that we were going to cut our budget down to $30 a week. We’ve cut our budget like this before when Allison was a baby, so we’re definitely familiar with eating cheaply. 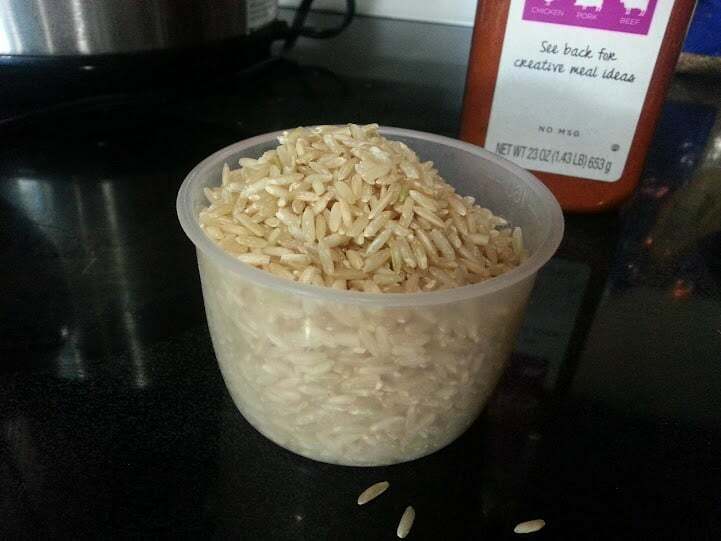 Be sure to read my post on how we ate for $37 a week for a year to see what we did back then! Know the good price points, and only buy what’s on sale. I mean that. If apples are currently $5.00 a bag and they usually go on sale for $2.50, don’t even think about buying it this week, even if you really want them. Find a cheaper alternative; maybe buy bananas instead that are on sale for $.39 a pound! I usually only buy the produce that’s in season and really cheap. If packs of zucchini are $.69 at Aldi, you can bet we’ll be eating zucchini every day with dinner. If pasta is $.50 a box at Kroger, hello spaghetti! Hello pasta bakes! I would even suggest doing some of your grocery shopping/meal planning around the clearance sections at your grocery stores. My favorite is Aldi’s clearance aisle; not everything they have in there is dinner-related, but I find a lot of marked down pasta/gnocchi, pasta sauce, beans, canned goods that I’ll decide to use for dinner instead, or even just purchase for next week’s dinners. By this, I don’t mean starve yourselves. This is something I learned when I started my health journey last year. Before, I would make a casserole that serves 6-8, and John and I would eat about half of it in one sitting. Not only were we eating too much food, we were spending more money on food each week. Instead of having double helpings of the main dish, have a reasonable portion and then prepare one or two cheap sides, like frozen vegetables or bread. Side items are typically cheaper, and will fill you up while keeping your budget in check. Go meatless multiple times a week. Meat can be one of the more expensive parts of your meals, so make something else the star of the meal! Rice and beans sound boring, but together they form a complete protein and you can find a lot of ways to make them more interesting. Would you consider having breakfast for dinner, too? Pancakes are incredibly cheap to make, whether you buy the boxed mix or make them yourself. You could also make waffles, eggs, biscuits, hash browns… breakfast can be meatless too but still be filling and delicious. If you’re temporarily unemployed, you probably have a little extra free time on your hands (while you’re not on the hunt for a job). This could be a good time to supplement your income with something to help pay for groceries. Doing side jobs is one idea, but if you’re unable to leave the house for whatever reason, there are things you can do online. I talk about Swagbucks all the time, but seriously, this website has saved my life when it comes to paying for groceries. Swagbucks is a website where you can take surveys and do special offers to earn points, called Swagbucks, that you can then redeem for gift cards of all sorts. Amazon is nice, but consider redeeming for a Wal Mart or Sam’s Club gift card to help pay for your groceries. You can redeem a $25.00 gift card for 2,200 Swagbucks, instead of 2,500, once a month, with the exception of PayPal. If you don’t have a Wal Mart or Sam’s Club around, you can always redeem your Swagbucks for a PayPal card and use the money anywhere. I use all of mine at Sam’s Club, which pays for all my paper goods, dishwasher tabs, wipes, and bulk food items like string cheese, shredded cheese, and chicken breasts. This will truly help when we’re running out of those more expensive items! I wrote a guide here that explains how I earn $50.00 a month or more by using Swagbucks. Cook a huge turkey or ham and use the leftover meat in everything. Turkey can be shredded and used in anything that uses shredded chicken, like tacos or soups. Ham can be used as sandwiches, put in omelettes for breakfast, or soups. Make a big batch of chili, and use some leftovers for chili spaghetti or chili dogs. Use taco meat for burritos, quesadillas, taco cups, or salad. Add leftover rice to stir-fry veggies and add chicken for a new meal. Lunches are really simple in our household, because we always eat dinner leftovers. Similar to above, this may not work for you if you have a larger family, but you can still do other really simple and cheap things for lunch. Try to add snack-like veggies like carrot sticks or broccoli, or fruit, if it’s in your budget that week. One of the best things you can do to keep costs down is to make everything yourself. 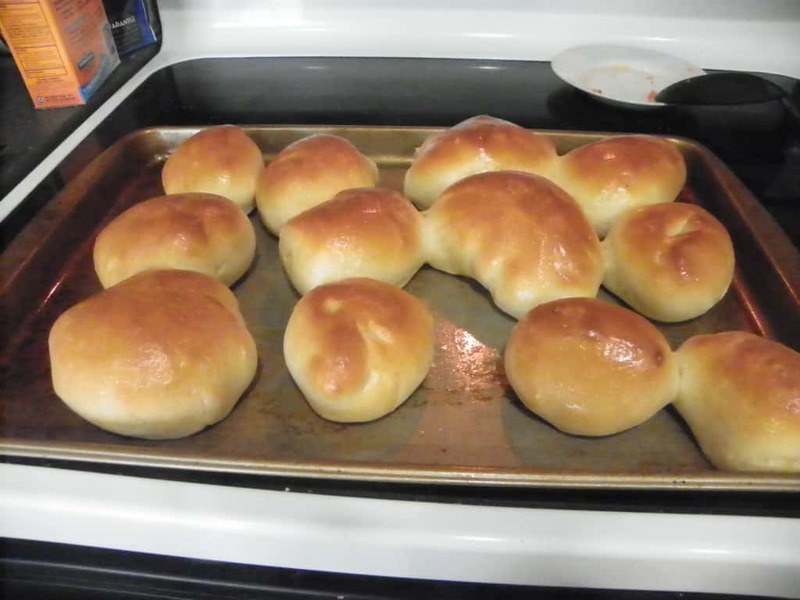 You can make any kind of bread item- loaves, dinner rolls, sub rolls, hamburger/hot dog buns, English muffins, tortillas, pizza dough… you don’t even need a bread machine for any of them, although it does make things easier. I’ll even make my own spaghetti/pizza sauce. All of this does take some time and effort, but it makes a huge difference in your budget. Here’s a list of recipes I use frequently, and all the bread items pretty much require the same ingredients: Flour, sugar, yeast, salt, eggs, and butter. All really cheap! Hopefully these tips will help if you’re in our situation, or are even just living on a really tight budget and need to pull things in even tighter. Do you have anything to add to this list? Please share with us in the comments! I have two jobs, but would actually benefit from all of these tips. Especially the make it yourself, and portion control ones. Thanks so much for this! Thank you for real, solid advice that can actually be used. Thank you, I hope it can help! Such amazing tips! I will be pinning and sharing 🙂 I hope your husband is back to work soon. Making things yourself really helps keep costs down and makes a lot less trips to the store. Sometimes it is a lot of work to keep up with my I make my own bread, rolls, quick breads and desserts. Save money with a little extra work like shredding your own cheese or not buying short cut foods like bagged salad helps cut down and the other items last longer. My mom rolled her eyes when I told her that I was making my own brown sugar! Freezer cooking helps too by making double sloppy joes and freezing the second batch so that you have on hand to make sure that you don’t have to get take out!! This is such helpful information! I try to cook meals that make plenty of leftovers for lunches and repurposed for dinner. We went out for dinner and I had some leftover meatballs and sauce that I chopped up, reheated,varded a little seasoning, then seved with 2 eggs cooked in the sauce. My husband loved it! I really admire your upbeat, positive attitude in the face of diversity. You are a strong woman! Thank you so much, Micki! Re-purposing leftovers is a great way to save on groceries; great job! 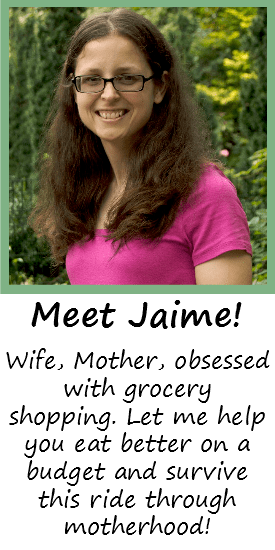 I was home with kids when my husband was laid off…twice. All your suggestions are great. 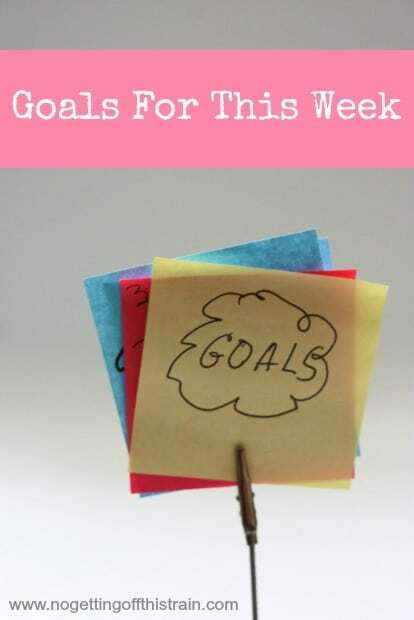 One I would add is to read the grocery sale flyer at home, do an inventory of what you have in the cupboard/frig, and then make a menu for the week. Use that menu to make your grocery list. Post the menu on the frig for the whole family to see! And every Friday (we shopped on Saturday) write up a Leftover Menu so everyone can clean out the frig before shopping. One serving of spaghetti? It will get picked first at our house. Thanks Mary! It can be tough when you temporarily have no income, as you well know! Clearing out the fridge before shopping is a genius idea. I love this post! I really enjoy reading all of your posts. It’s very useful information that I don’t see in most other bloggers posts. One thing my family does is cook a few pounds of ground turkey at a time and freeze the remaining pounds Andy just add whatever we need to complete the meal like spaghetti sauce or taco seasoning. It makes meals a lot faster. I also make a double batch of chili and divide it into freezer bags for chili dogs and freeze it. Similar to what you said about repurposing leftovers. Thank you, Ashley! That’s a great idea about freezing already cooked meat. That really does make things much easier at dinnertime! i have food intolerances galore (including yeast) – so for me, making from scratch is NOT ONLY healthier, but IT SAVES MONEY!